Chee Tong was born in Singapore in 1968. He has a Degree in Psychology from Central Queensland University (Australia) and a Master Degree in Counselling from James Cook University (Austalia) with distinctions in Behavioural Management, Assessment and Advance Counselling. He has assisted in Victims Debrief Session for the 2013 Genting Highlands Bus Crashed, working together with the Singapore Family Service Center. He became a Christian in 1991 and has served in various roles in the Central Christian Church (Singapore), ranging from working with the professional adults, youths to parents. He is currently serving as Church Leader in Central Christian Church of Malaysia (Ipoh). Ying Jiun was born in Petaling Jaya, Selangor, Malaysia in 1976. She has a Master in Medical Science, major in Biochemistry from University of Malaya. She also has a Diploma in Special Needs Children from College of Allied Educators (Singapore). She became a Christian in 1996 and has served as youth and campus leaders in the Central Christian Church of Malaysia (KL) and Central Christian Church (Singapore). 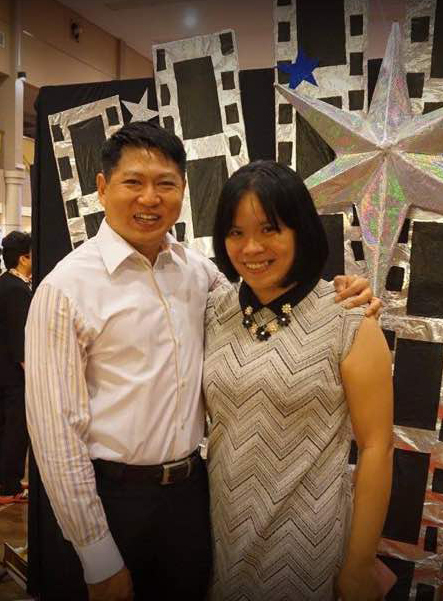 She is currently serving along side her husband in the Ipoh branch as Woman Church Leader. She is also working closely with HOPE worldwide (Malaysia) focusing on the needs of the under priveldged.